Efficient packaging of products in any medical facility plays a vital role in ensuring the safety of patients and medical officers. Therefore, it is necessary to have well-designed packaging systems for hospitals. The pharmaceutical packaging has experienced immense and constant growth. Similar to any other packaged products, hospitals also require speedy and reliable packaging solutions. The packaging also eliminates the chances of errors during dispensing of drugs. However, for this level of efficiency to be achieved sterilization packaging has to be implemented. Verification and inspection of the products used in packaging is imperative to avoid the contamination of drugs and other items. Therefore, choosing the best products to use in the packaging systems is critical. The use of sterilization reels and pouches has been highly encouraged because the products have been manufactured using the latest technology. The reels and pouches are best suited for ethylene oxide and steam sterilization because they contain a water based non-toxic substance. The reels and pouches also have indicators, which assist in detecting when the sterilization cycle is completed. 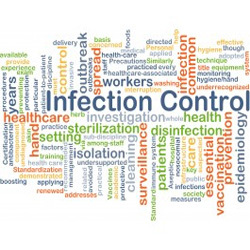 The feature improves the process of sterilization, thus making sure that the clients receive high-quality products. Sterilization reels and pouches are available at a pocket-friendly price. The sterilization reels and pouches have a high tear strength and can be used when packing delicate hospital products. They are also very convenient for packaging of various items and instruments because of their elastic nature. They are available in different sizes and measurements, thus being very suitable for big medical products and making personalized pouches. The unique quality of the sterilization reels and pouches of having a blue tinted transparent film gives the packaged product an attractive look. It also conforms to the ISO standards, therefore being suitable to be used in any part of the world. 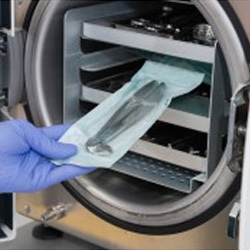 Unlike other packaging products, sterilization reels and pouches are compatible with formaldehyde and autoclaving steam because they are made up of synthetic polymer and polyethylene fibers. They are suitable for ethylene oxide and hydrogen peroxide sterilization. The sterilization reels and pouches are manufactured in a clean facility, thus no fear of any form of contamination. The manufacturing plant is fully validated for the production of packaging systems for hospitals. The reels and pouches are produced in bulk, therefore being able to cater for the increased demand from all parts of the world.